To link your Waves wallet, you will need a registered Waves wallet address with at least 1 PBT. If you do not have one, please follow the link for instructions on how to register it. 2. 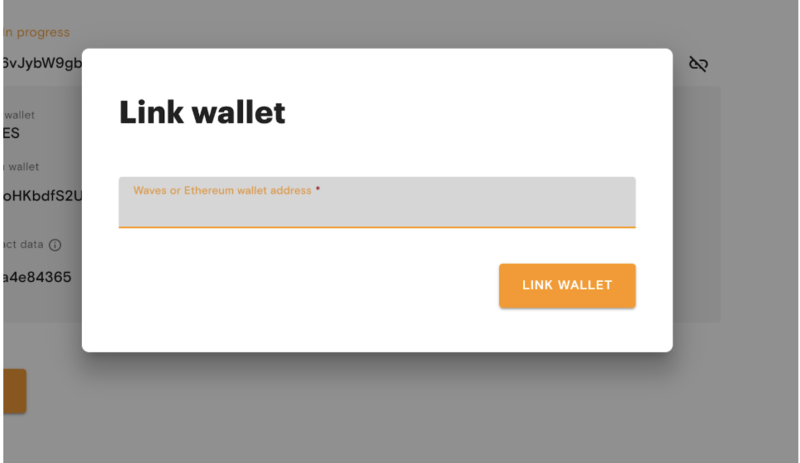 Send 0.0001 Waves from your linked Waves wallet to our Master wallet address 3PFfx4Yycak58WLCJtZxxYDN2GVq2YBoYDu together with an attachment/description (unique code) to prove that the wallet belongs to you. Please do not send Waves from Binance or any platforms other than Waves. 3. Your wallet will receive Confirmed status once you have sent 0.0001 Waves. This can take up to 10 minutes. You can check whether a transaction has taken place by searching your Waves address on wavesexplorer.com.